The AOFAS Postgraduate Education and Training Committee has developed materials for use by members to educate residents as well as to provide education to primary care providers in the community. 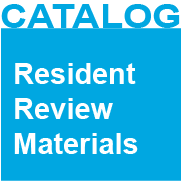 The Resident Lecture Series contains lectures for delivery within training programs or for residents to use for self-study. The Primary Care Outreach Lectures are intended for use in either primary care training programs or in the community to other care providers to instruct individuals on common foot and ankle topics. You can view the PowerPoint presentations themselves, download for educational purposes, or view a PDF version of the presentation. Additional content will be added as available. Non-Members can access this content by clicking Login, then creating a non-member AOFAS Account, and then returning to this page and completing the login process.